We have a wonderful children's music program at Oswego Presbyterian, led by Earlyne Dodd. Ms. Dodd is a cetified Musickgarten Instructor, a program that focuses on teaching music fundamentals to children. Our Newest Angel Choir is for 3 and 4 year olds and focuses on basic bible songs. This choir typically does not sing during church services. The Newest Angel Choir rehearses on Wednesdays 4:30-5:00 PM, September through April. Simple songs are presented during worship services at Christmas and Easter services. Our Cherub Choir is for kindergarten through second grade children. This choir provided opportunities for children to participate in worship services through singing, in order to learn what worship is, and to increase their musical repertoire. The Cherub Choir rehearses on Wednesdays 5:00-5:45 PM, September through April. Songs are performed during worship services one to two times per month and at Christmas and Easter services. 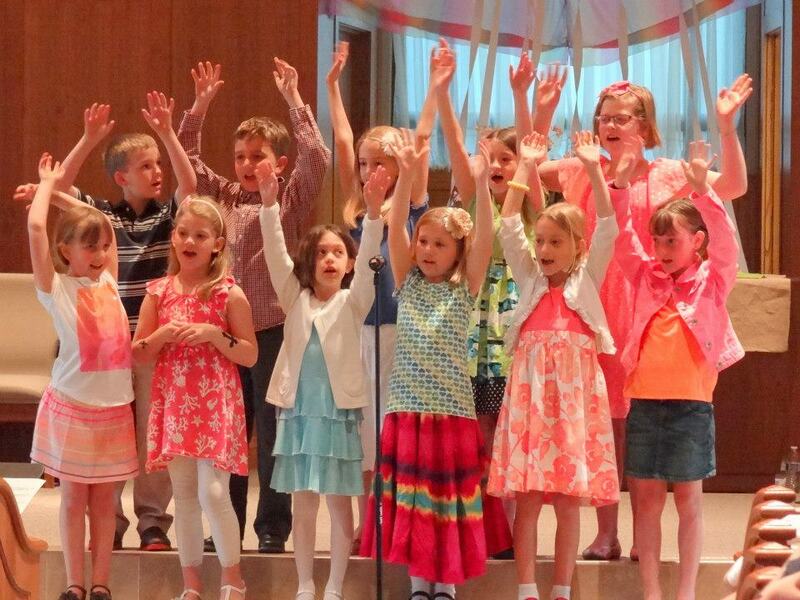 Our Christian Kid's Choir is for children in third to fifth grade. Rehearsals are on Wednesdays 5:45-6:30 PM, September through April. Singing during worship services one to two times per month, at Christmas and Easter services, and in regional/national festivals or seminars.